Experience the warmth and vibrancy of Dominican culture as you stay with a family, do good work, and have a great time. Ask us about your dates of interest! 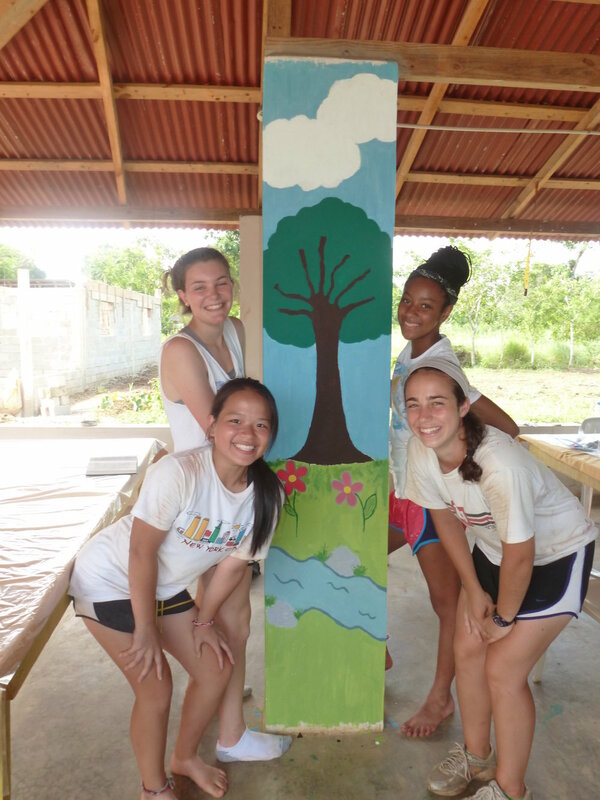 The July 5-July 15 service trip will include volunteering with a home construction project, leading the summer arts camp in partnership with Dominican counselors, and a guided day trip to Santo Domingo and Caribbean beach. Sister Island Project’s work is based in the small rural village of Cruz Verde in the Yabacao region - a beautiful rural area in the Monte Plata Province, about an hour north of Santo Domingo. The Yabacao region is very economically poor, inhabited by Dominicans of African descent and Dominican Haitians. Cruz Verde has about 250 residents and unpaved roads. In addition to our scheduled service trips, you can create your own trip throughout the year. Let us know if you want to create a trip independently or with a group. What service will I do? Service activities may include: Lead arts activities or classes with children or adults, assist with home construction, teach English, lead a health/nutrition project, assist teachers in local schools, assist with the sewing micro-enterprise project, help maintain the learning center (e.g. planting and caring for plants/trees on property, painting, etc.) and carry out individual service projects based on your skills/interests and community needs. A typical day includes morning and afternoon sessions of service activities with free time in the evening. We want you to have a great trip and we know that different people thrive with different kinds of schedules. In this Spanish-immersive setting, there is plenty of time to explore the community, play dominoes, relax, eat delicious food and sip a cafecito, soak up Dominican music and step out on the dance floor at the disco (bachata and merengue! ), enjoy tropical plants and birds, visit with volunteers and community members, and delight the local kids with your attention. If you want to travel independently post-trip, we can offer recommendations. The program fee covers: meals and home stay lodging, all program-related transportation in the DR, daily activity coordination from SIP Program Coordinators, pre-trip preparation assistance. Most service trips include a guided day trip to the Colonial Zone of Santo Domingo and a Caribbean beach, or other touring activities that we agree on with you. The program fee also supports the community projects you will work on. What does the program fee not cover? The program fee does not cover airfare, airport Tourist Card or immunization shots. All participants must have applicable health insurance. Short-term travel medical insurance can easily be purchased at an affordable cost. WHERE DO I FLY INTO? HOW DO I GET AROUND? You will fly into Las Americas International Airport in Santo Domingo (airport code SDQ). We will meet you at the airport and we will coordinate all your transportation within the Dominican Republic during your service trip. Where will I sleep? What will I eat? 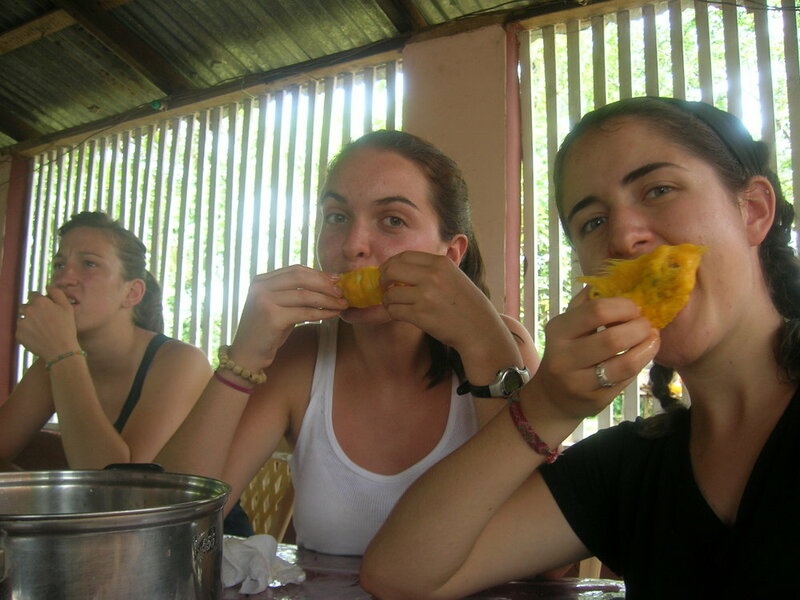 Volunteers eat three tasty, simple Caribbean meals a day that are carefully and hygienically prepared by community members. Lodging will be clean, modest accommodations with a Cruz Verde household. Living conditions are rustic – electricity and running water are inconsistent. Community members are friendly and happy to host volunteers and connect with new people. This is Afro-Caribbean culture off the tourist track. How much Spanish do I need to speak? Depending on when you volunteer, your program coordinators will be either bilingual or Spanish-only speakers from Cruz Verde. When a Spanish-only program coordinator is leading a service trip, we encourage volunteers with at least basic conversational Spanish OR groups that include one or more people with conversational Spanish. If you are a Spanish beginner and want to participate, please get in touch. Will I have a great experience? We think so, and we’ll do our best to support you. 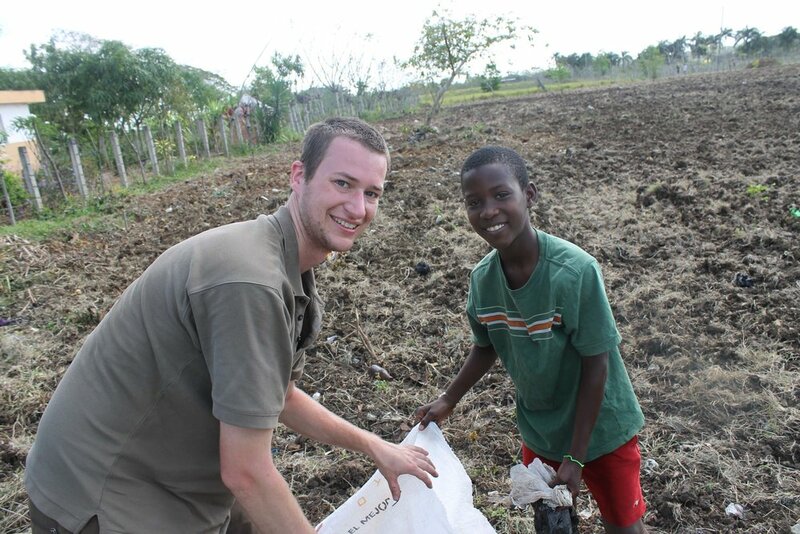 We have coordinated service trips for hundreds of volunteers over more than 15 years, and SIP volunteers consistently express their deep appreciation for the opportunity to serve, learn, and connect with the Dominicans they meet. We hope you can participate! Thank you for your interest.